Is there a better alternative to SpeakTime? Is SpeakTime really the best app in Applications category? Will SpeakTime work good on macOS 10.13.4? SpeakTime is a speaking clock application for OS X 10.3 and up. It allows you to speak the time in a more sophistated manner than the system clock, schedule spoken reminders in the voice and volume of your choice, and show multiple desktop clocks - each with their own time-zone. There is also an optional animated dock icon. 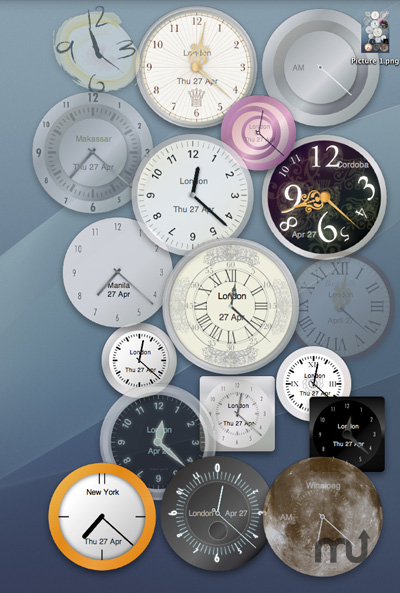 See the screenshot below some of the desktop clock styles available.